It may be a foreign language to you – but not to them! Q. What do you call someone who speaks one language? The PRC understands that to influence others you need to do so in their own language. While this may seem pretty simple, it’s not easy to do. 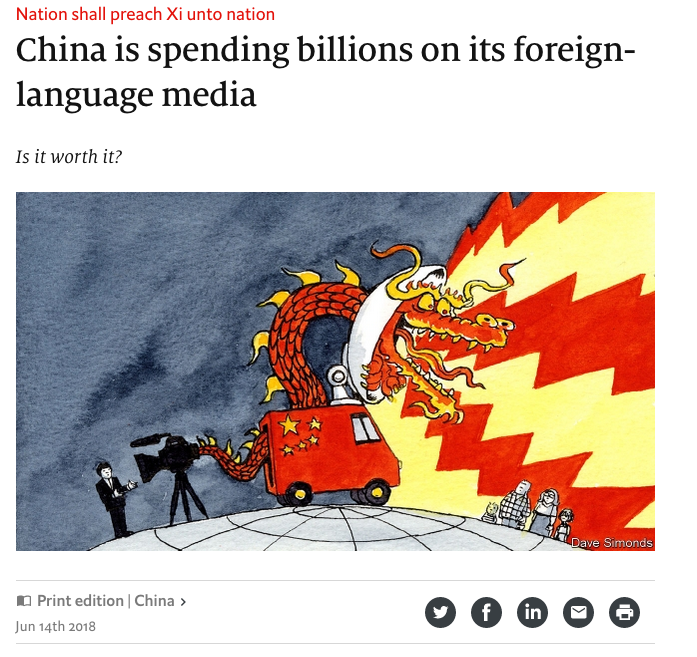 The Economist magazine of June 16, 2018 ran an article “National shall preach Xi unto nation” (see: https://econ.st/2KdrUJ0, which is also the photo source). 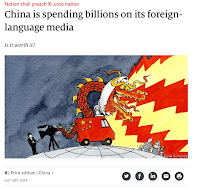 The article recounts how the PRC “is spending billions on beefing up its foreign-language news media”. 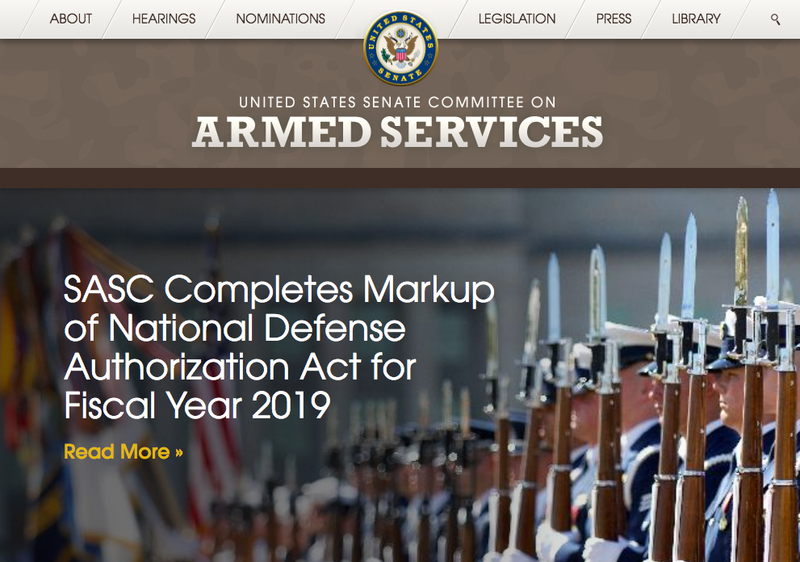 Meanwhile, last week I recounted how the Senate Armed Services Committee couldn’t understand why SOCOM’s humble Global Messaging Platform came under scrutiny. The meager millions spent on that program seem like chump change in comparison. The article notes that the Voice of China is now broadcasting in 65 languages up about 50% from the 43 languages broadcasted a decade ago. The China Global Television Network (CGTN) appears to be well sourced and ambitious. They’re targeting CNN and no doubt the BBC as well. The article noted that CGTN is planning on setting up a new broadcasting center in Chiswick, a mere 6.5 miles from London. The mission of CGTN as given to them by Xi Jingping: “tell China stories well”. The message is pretty clear, you need a ‘whole of government’ and a ‘whole lot of money’ if you want to play the global influence game. “Specifically, the committee believes the MISO enterprise remains too focused on tactical activities using traditional media and has not evolved to adequately counter adversary messaging through social media and other modern forms of communication. The committee notes that the U.S. Central Command (CENTCOM) ‘‘Web Ops’’ capability was established to counter online propaganda of the Islamic State of Iraq and Syria and is the predecessor to the proposed SOCOM GMCM platform. Despite the existence of a military information support military occupational specialty for decades, the MISO enterprise played only a minimal, supporting role in the activities of the CENTCOM Web Ops platform. The committee believes this situation is symptomatic of broader deficiencies in the MISO enterprise. Therefore, the recommended provision requires the Secretary of Defense to conduct a review of the doctrine, organization, training, materiel, leadership and education, personnel and facilities applicable to military information support capabilities with a goal of improving the capabilities of the MISO Enterprise to more effectively operate in the information environment against both state and non-state actors”. On a high level, there is quite a bit going on, much of it centered on the spectacular lack of success of US DOD influence (especially cyber influence) efforts. Recently the JCS elevated information to a joint function (see: https://www.rmda.army.mil/records-management/docs/SECDEF-Endorsement_Information_Joint%20Function_Clean.pdf) which has resulted in serious implications for several DOD communities such as Public Affairs, CyberCom and of course MISO. In parallel with this movement are separate initiatives in each of the services to develop their own influence (MISO) capabilities. The Senate Armed Services Committee has latched on to SOCOM who has the lead for MISO and would likely to be responsible this lack of success. The Committee wants to be sure that any further allocation of funds is warranted. Tagging this particular project is just one element of machinations going on at the highest levels. 1. DOD MISO is quite diluted as it goes across the force. 2. There are no visible results from any digital/cyber MISO efforts. 3. The MISO force is not synergistic. The Army still has an artificial split between the AC and the RC even though doctrine flows from SWC. It’s sort of a doctrinal “Animal Farm: where the AC is more equal. 4. Non-state actors in particular have been able to harness an asymmetrical advantage by using the Internet for recruiting, communications, etc. ISIS in particular. 5. SOCOM has not done a very good job of shepherding the influence resource across the force. 6. CyberComm, is the land of the geeks and is totally divorced from the influence force. In essence you have the campaign/message/theme people isolated from the digital delivery experts and also unable to direct the use of digital weaponry as an influence tool. 7. Congress doesn’t seem to realize that the amount that they have allocated is not very much to accomplish the mission they have assigned. I could go on, but you get the idea. It appears that the Senate wants to see a detailed review of what SOCOM is doing from a MISO perspective, how that relates to what the combatant commanders are doing and how it interfaces/impacts/relates to other government influence efforts, chiefly the Department of State. And, it wants this review before any more funds should be allocated to those efforts. Let’s all stayed tuned and don’t be shy about contacting your Senator if you’re so inclined.